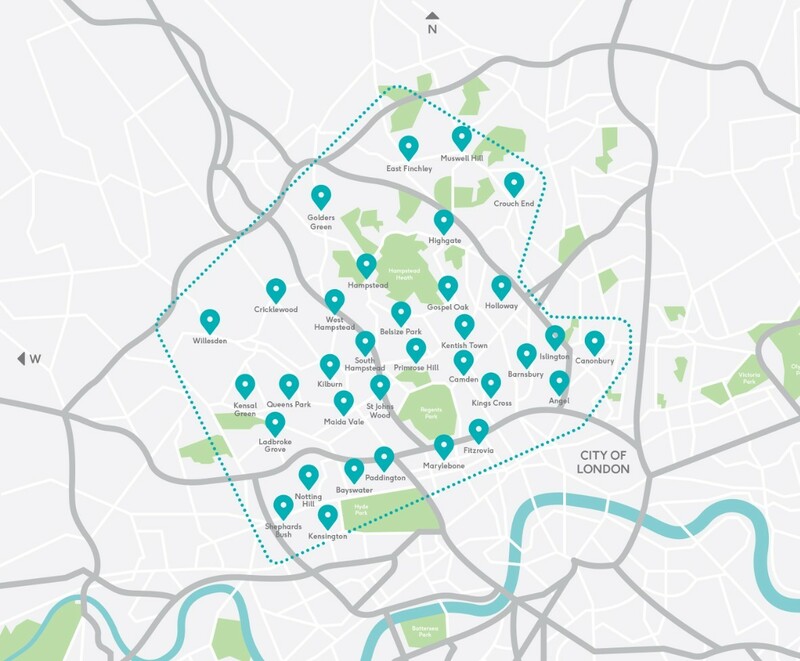 Growing with demand, we now cover Crouch End and the rest of N8 for our countryside doggy daycare! Just a short van ride away is our private 16 acre adventure playground where our lucky 4 legged friends get to spend their days playing in the meadows! We take care of the transport too, with journeys there and back all included in our price. Buddies offers the perfect adventure playground for dogs. 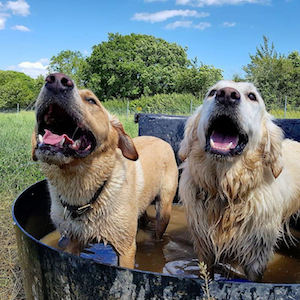 We have a purpose built countryside doggy paradise- filled with giant fallen tree trunks to clamber up, splash pools to swim in, trampolines to bounce on and a whole host of other friendly dogs to chase, wrestle and play with! No matter what your dog’s interests are, we make sure they have a fun filled day- every day. One of the biggest benefits of us having so much outdoor private space, is being able to create separate play areas for different groups of dogs. Here at Buddies, we have an area just for pups to play in safety and learn about the world away from big clumsy paws. We work tirelessly to ensure pups have positive experiences every day, helping them grow in confidence and develop into happy and sociable adult dogs. Buddies are by far the best daycare in London. They take excellent care of our Golden Retriever, Puyol, and he comes home happy and worn out after a fun day with his friends. They are friendly, reliable, and always on time- Puyol knows exactly when it’s time to go sit by the door and wait to be picked up. I don’t know what we would do without Buddies! They are a real life saver if you work full time and don’t have time to give your pup their much needed exercise and stimulation. © 2019 Buddies Doggy Day Care. All rights reserved.